An island grocery store with a fresh approach. Local people supporting local agriculture. 10am to 6pm Monday to Saturday, 10am to 5pm Sunday. 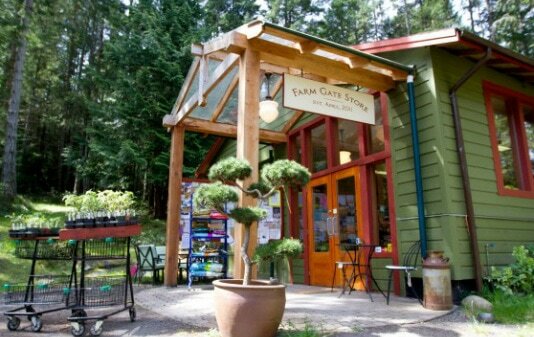 At Farm Gate Store, when you step into the warmth of the store the aromas from the deli fill the air. Fresh bread, simmering soups, vegetarian casseroles to name a few. Often there are fresh apple pies coming out of the oven and of course those famous muffins full of nuts and fruit.Need catering, special request or case lots? Talk to us.